Fixed bed and large end bathroom layout! Very high spec twin axle caravan with extras including porch awning. Valeted, serviced and damp checked prior to sale. 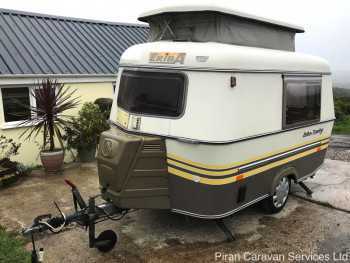 Wonderful little 2 berth Eriba Puck, with 'pop top', in excellent condition. Simple to move, tow and store. Valeted serviced and damp-checked. 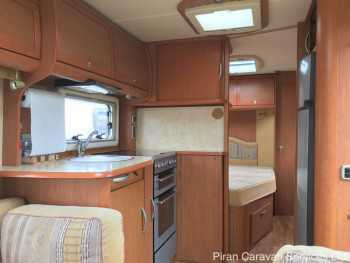 Includes Air Awning, extras and optional storage place. 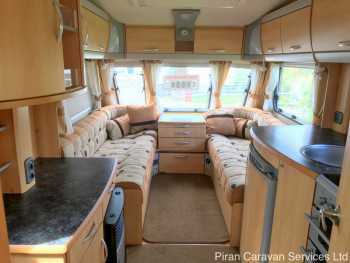 Large twin axle, 4 berth tourer, with fixed double bed and end washroom layout. Very high spec and in good condition. Cleaned by us, serviced and damp-checked. 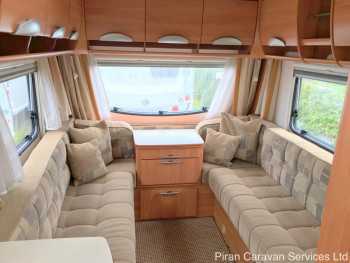 Excellent continental compact 2 berth with large living area and end kitchen layout. Comes with motor mover and extras. Will be cleaned, and independently serviced and damp-checked. Stunning 2017 lightweight 2 berth, with large lounge and generous washroom with separate shower. In perfect condition, with manufacturer's warranty and will be valeted, serviced and damp checked. 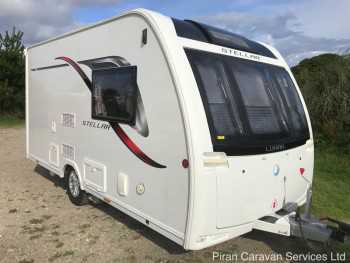 Great value, family 4 berth continental caravan, with fixed single beds and U-shaped lounge, with middle kitchen and end washroom. Cleaned inside and out, independently serviced and damp-checked. A fantastic 4 berth caravan in excellent condition, with a side dinette and large end washroom layout. In superb condition, with plastic still on the carpets. Valeted, serviced and damp-checked. 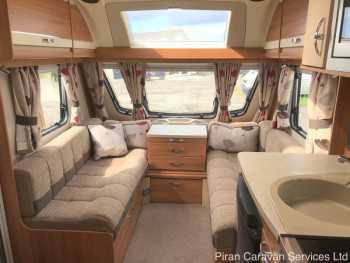 Beautiful 4 berth tourer on a single axle with a fixed bed and end bathroom. Has been valeted, serviced and damp-checked. Comes with extras including a Ventura full awning. Good condition high spec 2 berth tourer on a single axle with large lounge, well appointed kitchen and spacious end washroom. Cleaned, serviced and damp-checked. Comes with Dorema porch awning. Beautiful twin axle 2016 Palermo model with desirable and spacious twin bunk, side dinette and large rear washroom layout. Fully serviced, damp checked and comes with Isabella awning and more. 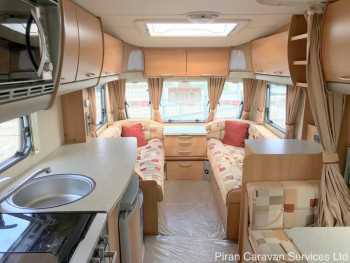 Beautiful single axle 4 berth tourer with rear twin single beds and large end washroom. Cleaned inside and out and full serviced and damp-checked. Comes with Powertouch motor mover and extras. Beautiful lightweight, single axle tourer with transverse fixed bed and end washroom. 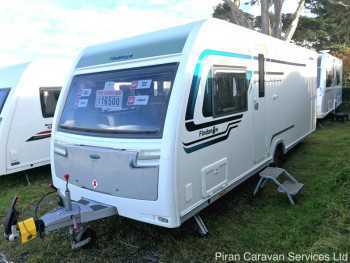 Comes with Powrtouch Motor Mover, air awning and more. Cleaned, serviced and damp checked.